Some researchers say the AR market equally used in both consumer and military cases. Augmented Reality has been adopted by the military where it is mostly used for training purposes. It is useful for training soldiers for combat situations or other dangerous settings. An Augmented Reality simulation enables the soldiers to do so but without the risk of death or an injury. This has been proven to be safer and less costly than traditional training methods. 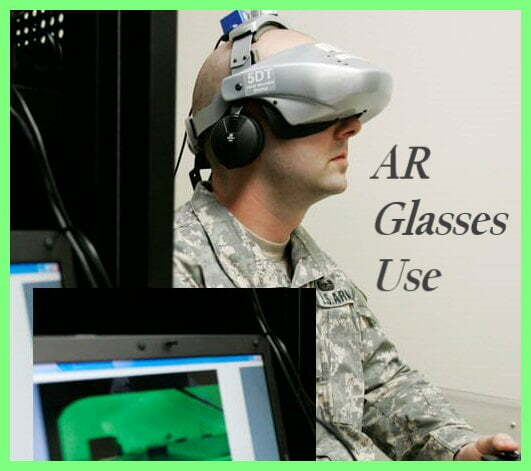 Virtual and Augmented Reality used by all army, navy and air force. AR and VR trainings used as an additional aid and will not replace real life training. The main advantages of this are time and cost. In reality military training is expensive. Especially Air Force training is very costly. Therefore it is more cost-effective to use flight simulators than actual aircraft. And you can also add an element of danger in the training scenarios. Such as the plane flying through a flock of birds and one of the engines is failing. Or fire in the plane. Combat system simulations are mostly applied to ground vehicles, and tanks or armored vehicles. Particularly AR environment recreates different weather conditions and trains to navigate in unknown sites. AR and VR Training for combat medics helps to prepare them to provide the first aid for bullet wounds, explosive shrapnel wounds and combat injuries on the modern battlefield. Training programs for bomb disposal squads, which enable to practice neutralizing explosive substances of various types and configurations. Finally, Augmented reality applications to support remote maintenance of the military equipment that enable experts to remotely advise maintenance engineers. Virtual and Augmented reality are also used to treat post-traumatic stress disorder. Soldiers suffering from combat trauma and other psychological conditions can learn how to deal with their symptoms in a safe environment. It is has been acknowledged as a medical condition. They are exposed to the triggers which they gradually adjust to. This has the effect of decreasing their symptoms and enabling them to cope to new or unexpected situations. VR uses head mounted displays with an inbuilt tracking system and data gloves to enable interaction. In combat visualization soldiers and personnel wears glasses which creates a 3D depth illusion. The AR technology uses transparent Apple AR glasses. 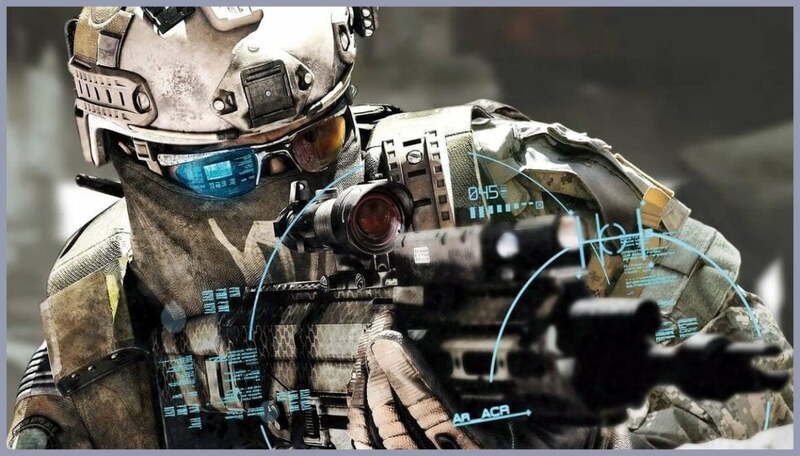 Even though, not available in the commercial market, military is familiar with Apple AR glasses.The military has been using Augmented Reality interfaces for years. The transparent structure of the glasses lets the user have situational and environmental awareness, at all times.